I always say, “when you use your mind and take a step at at time you can do anything that you want to do”? Well, here’s the thing, it’s true. Patience, grit, determination, passion and love all rolled up into one is how. I know this is true. And because of our news….. This news has been brewing for so long and Traci Paige Johnson and I are over the moon…. So, it’s been 22 years since Blue’s Clues released it’s first episode on Nickelodeon. Twenty-Two years! And, well, are you sitting down? Sitting down in your..Thinking Chair? 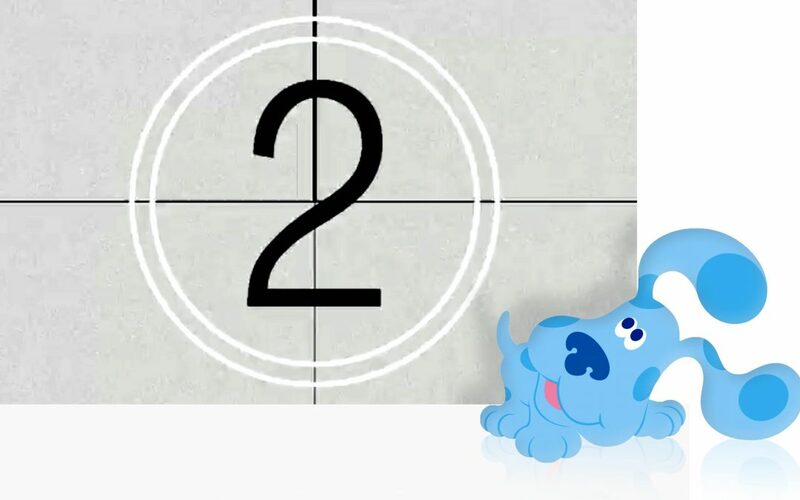 BLUE’S CLUES IS COMING BACK! I can’t even begin to tell you how excited we are…Getting to play with our little blue puppy again feels like having your first child come home from college…or your first love tell you that he’s always loved you…. Because this journey is ridiculously exciting we will be documenting it along the way to share all the delicious details with you. The first bit of news….there will be an OPEN CALL to find the “new Steve” (or “Stevette”) at the Nickelodeon Studios Burbank in California on April 14th. We can’t wait to meet our new best friend! It the meantime, send me your questions, wishes, desires, and just plain freak out excitement and I will continue to share! Now it’s time for so long! Go behind the scenes on my shows, get all of my best tips, and get a free sneak preview of my new book, Radical Kindness! SUPER excited for this–you have NO idea. This isn’t like back when I was skeptical of Daniel Tiger–I mean, let’s be honest, the only reason I didn’t outright HATE it when I first heard about it was because it was run by you, and I LOVED and STILL love to this day) Blue’s Clues. One of the best kids shows ever made. Speaking of, who do you think will be our new “viewers”? Is there any other way to be considered? The plan is to have casting calls throughout the nation. When I know more, I’ll be happy to share it with everyone. Thanks! So very nice to hear that Amy. Let me know what you think of the new show once it’s up there please! This is so exciting! I watched blue’s clues as a small child, and now my 18 month old loves it. We have a few DVDs and have recorded the series. My son has learned so much from this show. He is already able to recognize and say over half the alphabet as well as numbers 1-10. Downside of him loving blue’s clues so much is that it is really hard to find merchandise and toys. I hope to see some out after the reboot!! I love hearing stories like yours!! Your son sounds very smart. I see quite a bit of merchandise on eBay, but good luck finding what you’re looking for & thanks for reaching out to me! Thanks for the confidence boost! We are quite excited to get this rolling. April’s a bit premature but not too long after that. As far as the rest of your questions, we’ll take them as they come, one at a time. But I’ll share the answers when I’ve got them. Thanks Professor! I don’t live in Burbank, so I can’t audition in person, unfortunately. Would you accept video auditions? Whenever we have casting calls which will be throughout the US, I’ll be sure to put it up on all my SM channels. Good luck!! Being an actor in NYC, I’ve waited for this moment. Becoming a preschool teacher, being a manny(male nanny) was all for this moment. I can’t wait!! SUPER EXCITED. I’m sure my little students can’t wait to see me hanging out with Blue. Hey Dorsea. Whenever we have casting calls, I’ll be sure to put it up on all my SM channels. So be on the lookout! Thanks for being a teacher to our little people!! That was 1st on our list! Know any? I love the show so much when l was little, I still watch it every now and then for all the memories and beautiful moments. It was more than just a educational preschool show. It was all full of love. l don’t know who the new host will be but l really hope that the new host is a woman. l think it’d be cool if you hosted the show and very curious to know what the notebook will look like for this new one. l’ll be there to watch for the 1st episode comeback. Love you, Todd, Traci, Donovan, Steve and Blue to the moon. What a nice message Erick. It was full of love & it was so much fun working on it with everyone. We’re just getting started so I’m afraid I don’t have many answers for you, besides the fact that we’re going to audition men and women & it’s going to have a lot of LOVE as well in it! Thanks for reaching out! Thanks. I’m glad you’re such a fan. Nickelodeon handles all of your requests as we create just the show. There’s plenty of merchandise up on eBay from time to time. Thanks for your support! Can’t make it to LA in April? Now you can audition anywhere! Hello! Just Wanted to say I can’t wait for the Reboot. Blue’s Clues is One of the Reasons I Made my YouTube Channel, Thanks to the Music in The Show. It’s also the Reason I Made my Username and Logo, MusicClues. Can’t wait. BTW, Who’s Gonna Voice Blue? I’d be just as happy as you Una if Blue’s Clues was Live again. Perhaps someday soon it will! Hey, Angela. I have been watch the show since I was a baby. I do have some questions. Who in the world did the credit music? If there is a new animation team and new productions, does that mean Nick and Micheal won’t be composing music? We’re just getting started so I don’t have those answers yet. Once we do, I’ll be happy to share them with you. Good ear! Do you know if there will be an episode in the reboot would have the host thinking about the clues he/she has and it’s possiblities, like, say, like if the episode was about somebody new visiting, and the clue was a footprint, then it could possibly a prrson? One never knows until it airs. Thanks for your suggestion Jalyn! 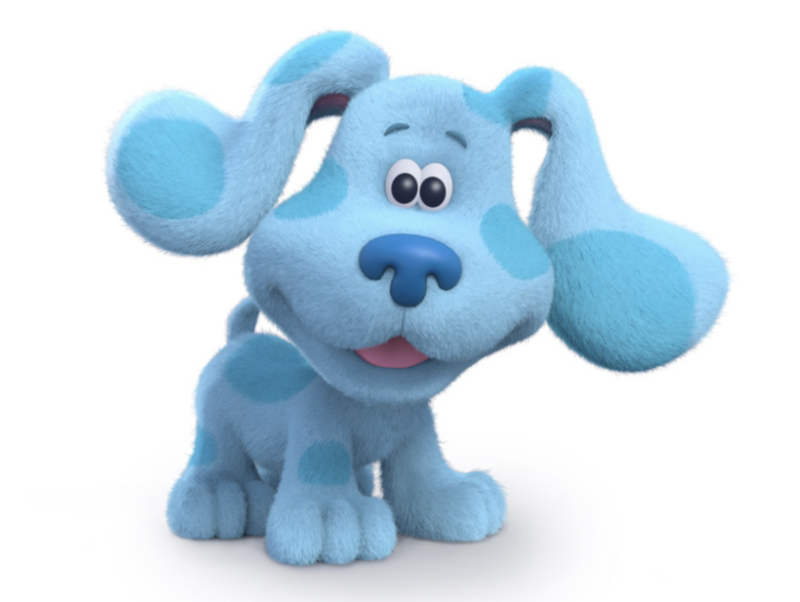 I wonder if Nickalodeon could make a website where we could make our own Blue’s Clues episodes. That would a very interesting request. It never hurts to ask them! How would I ask, though? Also, if the creditsin the are going to be in page-turning form like before, will the music fit the theme of the episode, like the oboe and kazoo fit Animal Behavior? Both my children, now 24 and 21, grew up watching Blues Clues and were so happy to hear it was being brought back! They loved Steve and were sad when he left but Joe soon grew on them. As a parent I want to say “Thank you” for this excellent childrens program. Blues Clues was so fun to watch with my children and to watch them engage with Steve and Blue. I even found myself joining in on the fun! I hope the “New Steve” will bring back all the qualities and magnetism of Steve Burns. He connected with his audience perfectly. Thank you again for creating such a wonderful program and for me, creating fun memories that will last forever. Thank you so much for your kind message Carrie. I love notes like yours!! We should have an announcement soon regarding our new host & I’m sure whoever it is, they’ll bring the Blue’s Clues magic that was shared with their predecesor!! Me too. Then maybe I can get my music questions answered. Yeah, then we can find out if Nick and Michael are coming back. Right? Jumpman, although we don’t know about the music yet nor credits, what intrumentsdo you think they’ll use? Don't miss a single clue! 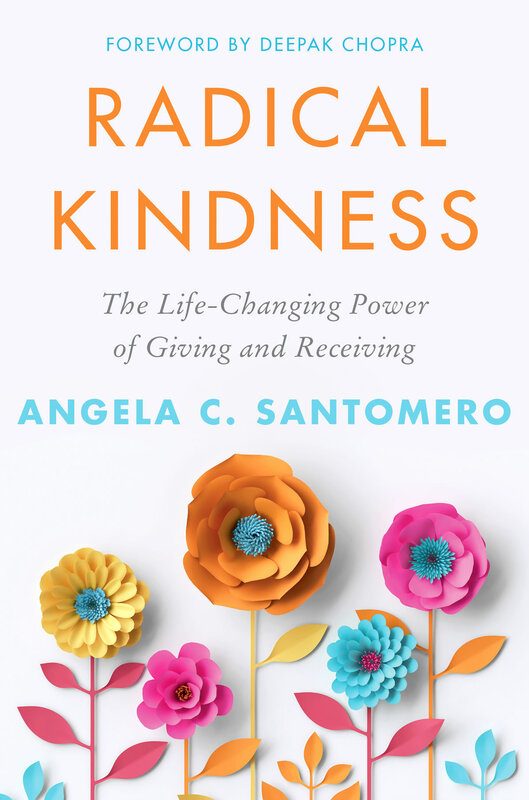 Sign up for a sample from Radical Kindness, go behind the scenes on what I’ve been working on, get special release dates & so much more! It is always possible. Through practicing radical kindness–toward ourselves, with loved ones, and to the world at large–we can transform ourselves, our neighborhood, and our world for the better. Don’t miss a single clue! Sign up for a sample from Radical Kindness, go behind the scenes of what I’ve been working on, get special release dates & so much more! And don't worry, I’m not one to oversend.